A Sunday Afternoon on the Island of La Grande Jatte: Office Style. . HD Wallpaper and background images in the The Office club tagged: the office a sunday afternoon on the island of la grande jatte georges seurat classic painting pointilism official nbc cast photo wallpaper hq. This The Office wallpaper might contain wicket, sign, poster, text, and chalkboard. Saved and on my desktop. XD I love Andy in this one. I'm diggin' him having the pipe. 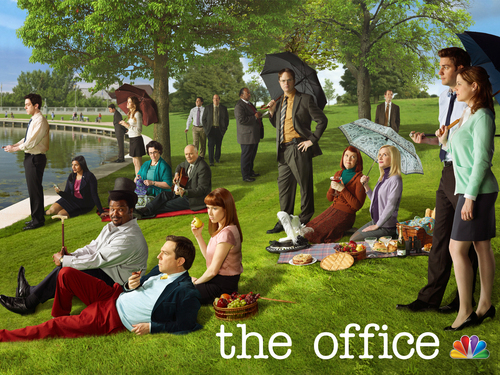 They have this poster included in the season 7 DVD set. It's awesome.